The marketing team at a top 10 global pharma company was looking to educate NPs/PAs in dermatology and inform them about their medication. The client wanted to use primarily digital methods to get the word out particularly among NPs/PAs. RNsights used List Match technology to pinpoint over 24,000 NP/PA targets. Almost 9,000 of these contacts were direct matches to NPs/PAs on the client’s target list and the other 15,000 of them were found to have a close association with the client’s target MDs. RNsights then proposed a combination of a banners, emails and newsletters to inform these 24,000 highly relevant NPs/PAs about the pharma company’s medication. The client calculated a 5:1 ROI by monitoring prescription writing increases of the medication among the targeted NPs/PAs in the RNsights campaign. Over 1,000 NPs/PAs clicked links to read more about dosing and/or co-pay assistance and savings information for their patients. Because the email, banner and newsletter recipients were List Match targeted NPs/PAs, all those who requested more information were targeted HCPs who mattered most to the success of the client’s business. 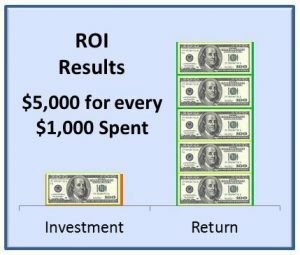 RNsights reported detailed results at the individual practitioner level allowing the pharma company to track changes in their behavior, and determine that the revenue generated from the RNsights campaign yielded a 5:1 ROI. This client has since returned to RNsights for new NP/PA campaigns to continue promoting their medications.